When it comes to the basic apps you need on your smartphone most especially android, Google got you covered starting from the Gboard for your keyboard, Google camera for your camera app, photos for gallery and many more, but if there is one essential app Google has been lacking and it's a dedicated file manager app. Google recently launched its own file manager app which it calls Files Go. Before now, the app was only available in beta stage for a few selected users, but now Google has officially released the stable version of its file manager app for everyone. 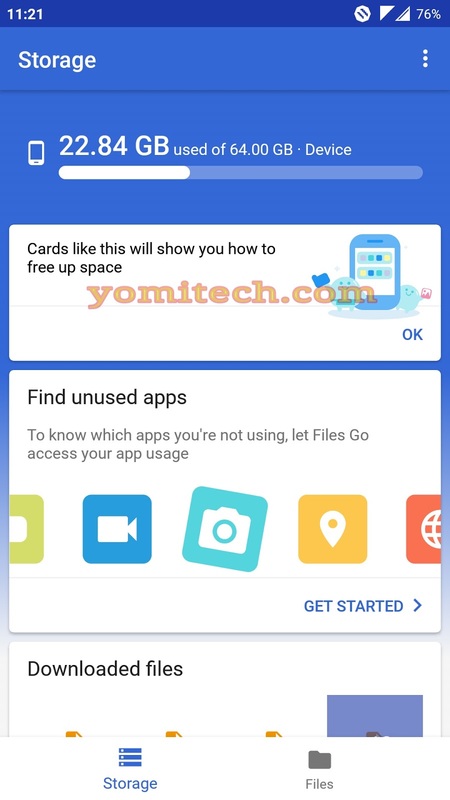 The new Files Go app isn't much different from your regular file manager app except for the friendly interface which is card-based and gives you quick insights about all the files and folders on your device. 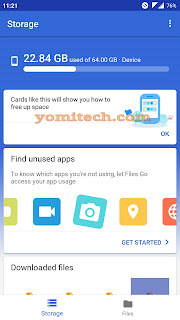 It also help you free up space on your android phone by automatically scanning for duplicate apps and allows you to ditch the redundant ones, identifies large files, and gives you different tips on how to save some extra storage out of your phone. This is more of a regular file explorer and doesn't really have as much features as you will find in Es Explorer or Solid Explorer. >> Help you free up more space in many more ways than before. >> Suggest removing apps you no longer use to keep your phone fast & feeling new. >> Recognize and help you remove the spam & duplicate images. >> Find your important documents without cumbersome and manual effort. >> Share your files offline - fast & secure - with the tap of a button. The stable version of Files Go App is currently available for download on Google PlayStore and if you happen to be in the Beta program, then you need to head to the Play Store page of the app and opt out of the beta program at the bottom of the page before you will be able to download the stable version.